It might seem tempting to take your computer to a repair shop and have an IT pro install an SSD, but it's an added cost. The solution: do it yourself! If you can back up your hard drive and transfer photos from your phone to your computer, you probably have what it takes to install an SSD and immediately increase your system's performance. Installing an SSD essentially involves five steps: backing up your old hard drive, transferring data from your old drive to a new SSD, opening up your computer, and unplugging your old drive and plugging in the SSD. If you're comfortable doing this (and we'll show you how), here are four ways you can save time and money. If you pay a computer shop to install an SSD, they'll charge an hourly rate or flat fee that reflects several hours of work. Translation: while it only takes a few minutes for a shop to physically install an SSD, they'll usually spend 1-2 hours waiting for your data to transfer – and bill you for this time. Hourly rates vary by shop, of course, but it's not uncommon for fees to exceed the cost of an SSD. You can avoid this entirely by installing your own SSD and following the simple onscreen instructions included with your data transfer software (ships free with Crucial SSDs). Computer shops typically mark up the SSDs they install, and often use a variety of different brands. However, not all drives are manufactured to the industry's most stringent standards. By choosing the SSD you want to install (along with reading reviews and researching how it's made, validated, and quality-tested) you can make the best, most informed decision – and often save on the cost of an SSD by buying direct and having it shipped to your door for free. 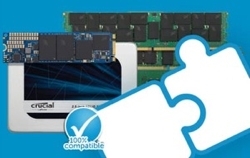 What's more, you don't have to go to a computer shop to find a compatible SSD. Just use the System Scanner tool, which analyzes your system's hardware and recommends best-fit drives for your system. When a computer shop installs an SSD for you, they'll typically ask if you want to convert your old hard drive into external storage, which carries a labor markup. While repurposing an old drive for external storage does allow you to store more data, you don't have to pay a shop to do it for you. Just get an external hard drive enclosure, which protects your drive and allows it to connect via USB so you can use it like a flash drive. 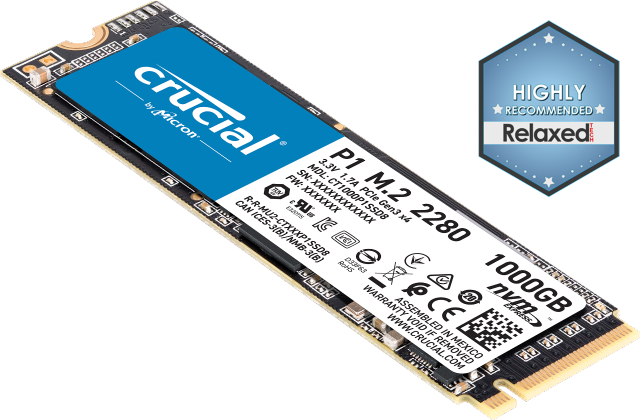 This solves one of the biggest problems people face when upgrading to an SSD, as SSDs can't store as much as hard drives. When you pay a computer shop to install an SSD, you'll have to disconnect your system, load it into your car, deliver it to the shop, explain what you need them to do, be without your computer for several hours or more, go back to the store and pick it up, then finally bring it back to your house and reassemble everything. That's a lot of extra work, and it brings up the ultimate question: how much is your time worth? By installing your own SSD, you'll save time and money, increase your confidence, and learn a little about your computer in the process. You can certainly have a computer shop install an SSD for you (and they'll do a great job), but it's something you can learn to do yourself.